For the last week or two, more people than usual had been asking me about The Undercover Scientist. 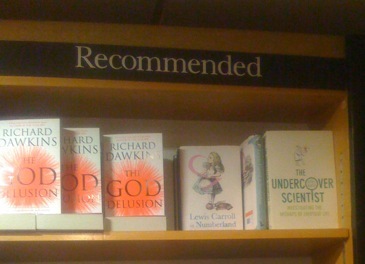 Today one of my students explained why - Waterstones has the book on their recommended reading list. I had a look for myself this evening... he was right. The Book of Numbers seems to be out living a life of its own now. 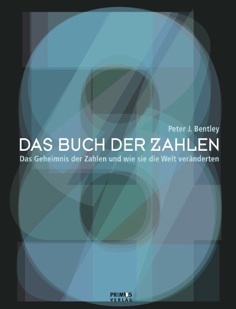 I found out last week that the German translation is now available: "Das Buch Der Zahlen." I've just received a copy and it looks good (although my German is too poor to judge whether I'm still saying the same things in this version). I think the Korean translation is out there too... I have yet to see it. Also, according to my publisher, the British version was reviewed by The Royal Society of Popular Science and in a newsletter. (I have no idea what that is - but that's what the publisher said...) They also ran a competition on their website to win copies of the book, which was advertised in their newsletter from mid March to mid April. And apparently Answer Bank (a popular culture site with quizzes and competitions) had a banner on their homepage and in their newsletter. I can't find any of it online now, so I guess I missed it. Please note that the image from "how stuff works" explaining how the 3D glasses work is incorrect. A red tint only lets red light through and a blue tint only lets blue light through. Thanks for your concern. The arrows in the image represent the image that each eye views. Blue lens filters the blue and only allows that eye to see red image and the red filters the red and only allows that eye to see the blue image. That's not right. Blue filters let blue light through, and will block red images. Red filters only let red light through. That's why the light appears blue or red through them - they block all frequencies other than their colour. If you don't believe me - try it. We have a red laser here that is blocked by a blue filter, but passes through a red filter - as you would expect. The diagram is therefore incorrect. So explain How the decoder (Red) lens works: With your idea when looking through red lens it would only see red image. Wrong! Red filter blocks everything that is red in the image and only allows the blue hidden message to be reveled. Or How the Wobble viewer works: Blue strip of film lets you see red image and red strip sees the blue image. Works the same for 3d Anaglyph. Test it yourself: Type the word red in red and the word blue in blue on a white screen, look through the red lens, the only word you will see is the word blue. By the way: You are the only one to complain in the 5 years it has been up. 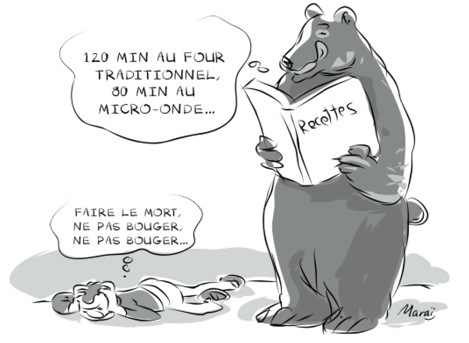 I did not create image, but copied it from another site. OK, I did your experiment. Red written in red, blue written in blue. I look through a red filter and I see the word blue more clearly. This is because the blue text is now darker, the red text remains unaffected, and the white background has been filtered so that only the red frequency comes through. The red filter blocks the blue light, making the blue appear black. It lets the red light through unchanged. So I repeat - a red filter only lets red light through, including the red of the text and the red in the white background. It does not let the blue light through, which is why it appears black. Same applies in reverse for the blue filter. Not your fault, William. I know the originator was howstuffworks.com. It's good of you to be thoughtful enough to care. Good luck with the 3D work, and thanks for a nice discussion. And this is the incorrect diagram that seems to be confusing so many people. As I hope you can work out, only blue arrows should emerge from the blue filter and red arrows from the red filter. Watch what you believe!